So, Happy Friday! Its time for peach turnovers! Remove the pit and chop. This will seriously just make your kitchen smell awesome. Sometimes things just have to get a bit messy. 1. In a medium sauce filled with water, bring water to a boil. 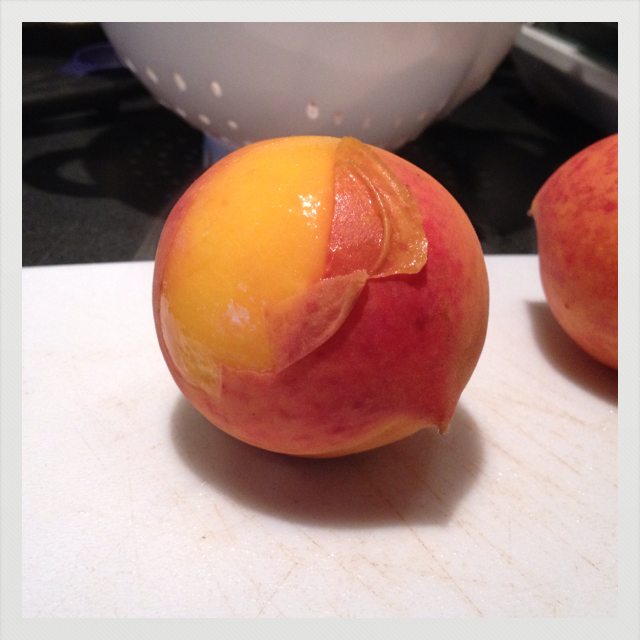 Gently place whole peaches in the boiling water for one minute. 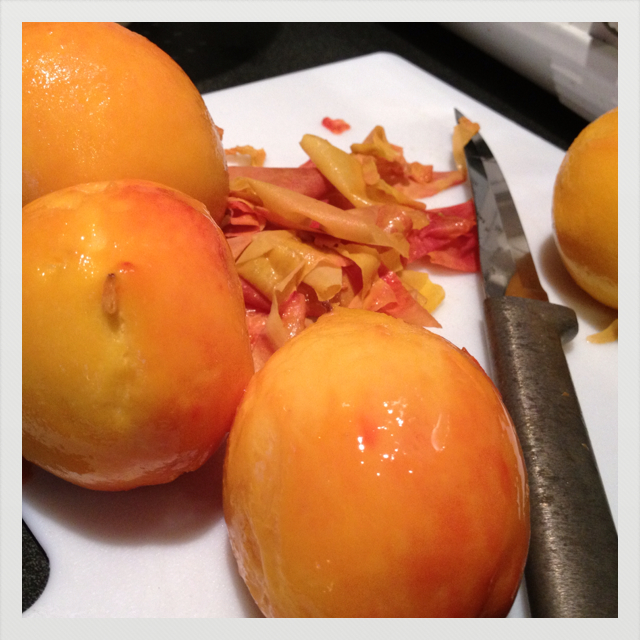 Remove and then when you are able to handle, carefully remove the peach skins, remove the pit and dice. 2. 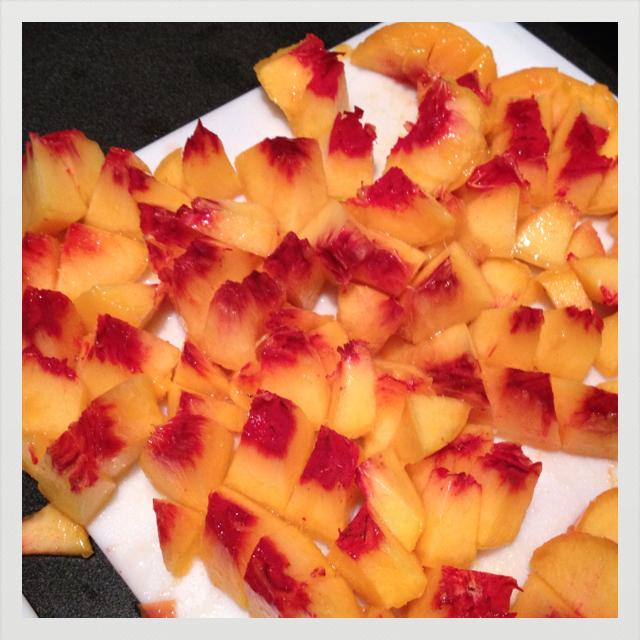 In a large frying pan over medium high heat, combine the peaches, water, brown sugar and cinnamon. Cook, stirring occasionally, until the sugar is dissolved and the liquid is reduced, about 10 minutes. Remove from heat and allow to cool. 3. Set oven to 400 degrees. In a small bowl, whisk together the egg and the water, making an egg wash and set aside. Line a baking sheet with parchment paper and set aside. 4. Lay the puff pastry sheets out and cut each one into 4 equal squares. 5. 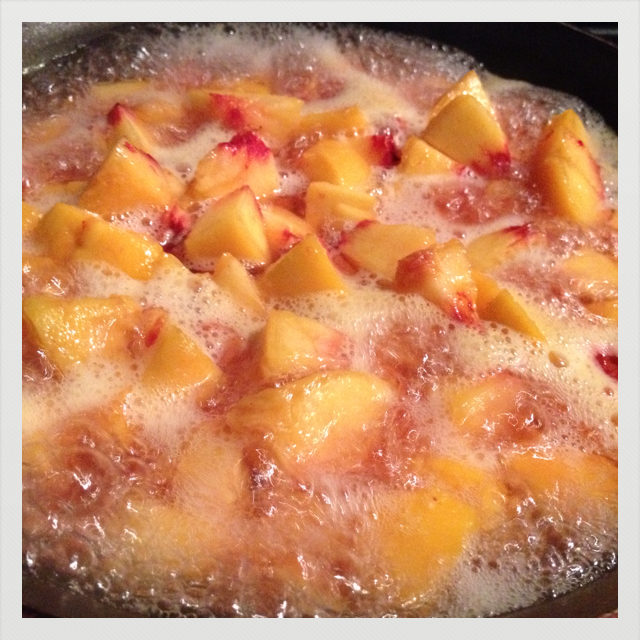 Using a 1/4 measuring cup, spoon a small amount of peach mixture onto the middle of a square. Fold one corner over to the opposite side and seal with a fork, pressing down all around the edges. Repeat with all of the puff pastry squares. 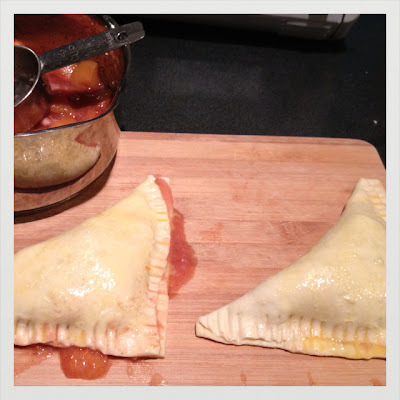 Place the completed turnovers on the baking sheet. 6. 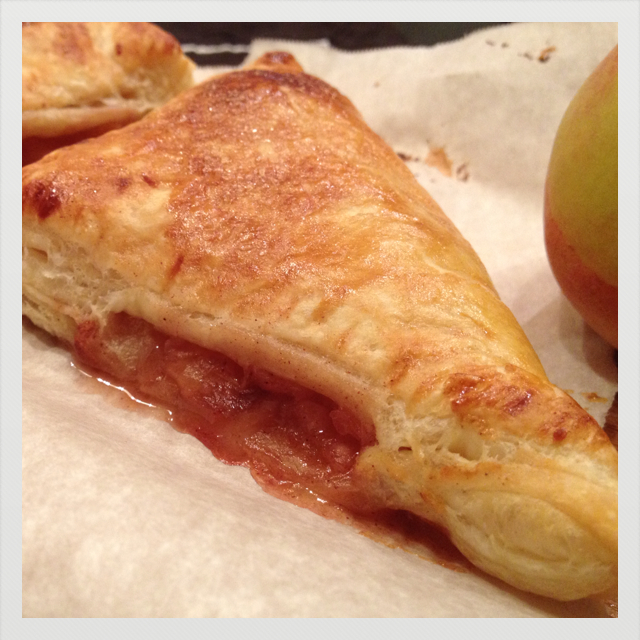 Brush the top of each turnover with the egg wash and sprinkle with sugar. Bake for 20 minutes. Remove the turnovers from the sheet and onto a cooling rack. Enjoy!